Dale Vito of Ace Jewellers, Amsterdam, sent me some pics from the Basel fair - not a lot of info on some, will try to update or others will chime in. some watches I'm unsure about precise model names, maybe Dale will chime in. Carbon bezel E2, cool but the carbon dial makes it look fussy. 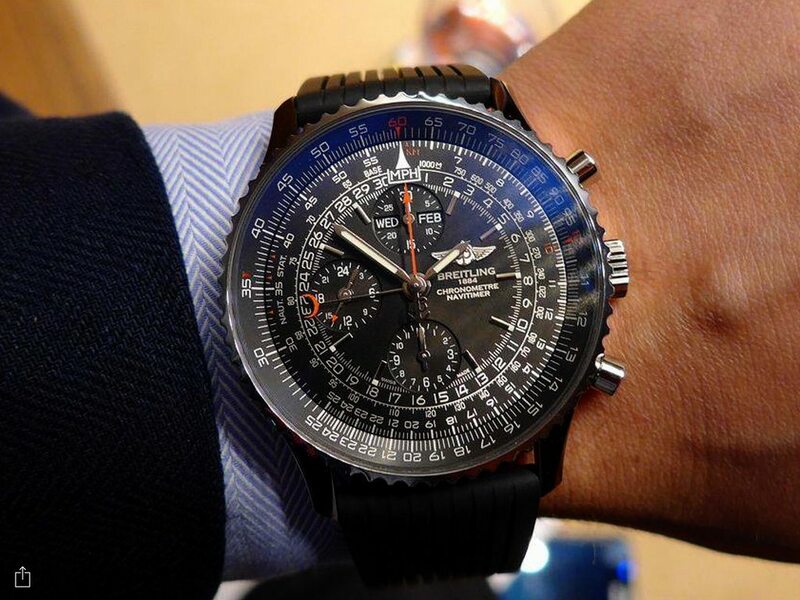 I'm liking the black Navitimer 1884, but that grooved rubber strap looks terrible. Try it on the rubber "mesh"? 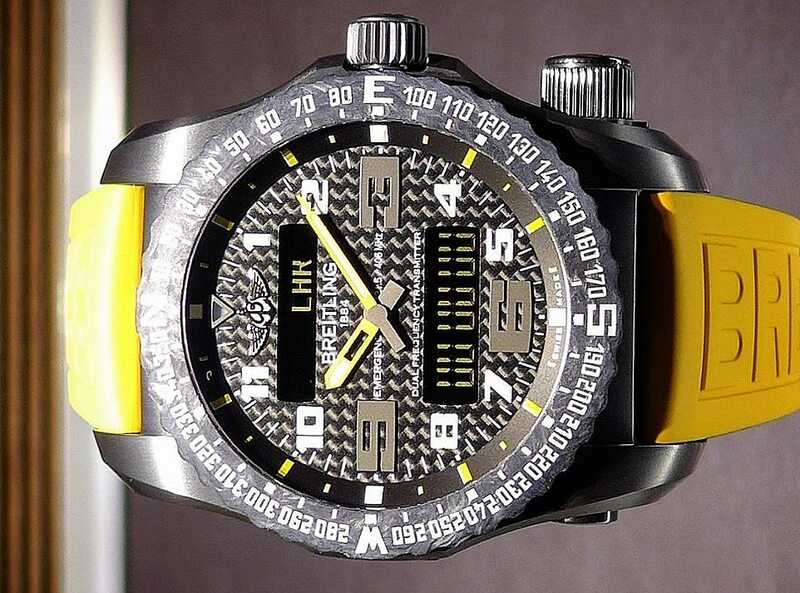 The B4B is a Ltd with black MOP dial. 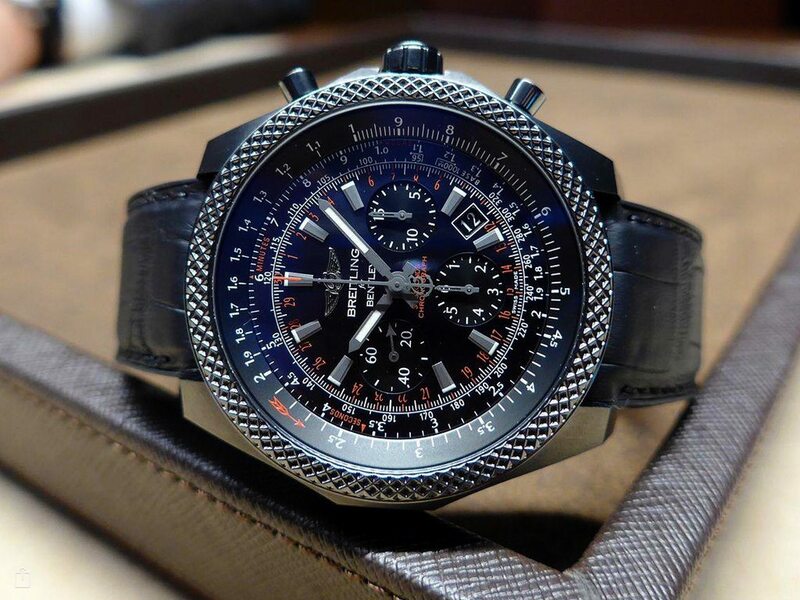 The Navitimer is a the 01 Blacksteel LTD. Regarding the Emergency - there's a B50 in similar outfit as well. Strictly boutique only. Few new configurations of the B55. 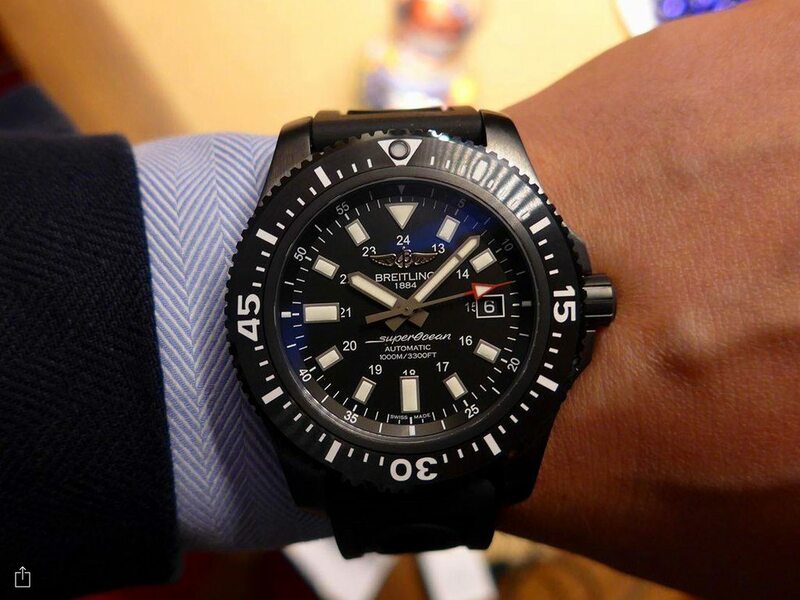 I never thought I'd find a black steel/ rubber bezel watch that I like but the three hander SO looks great. B55 on Ti bracelet! Hallelujah!!!! 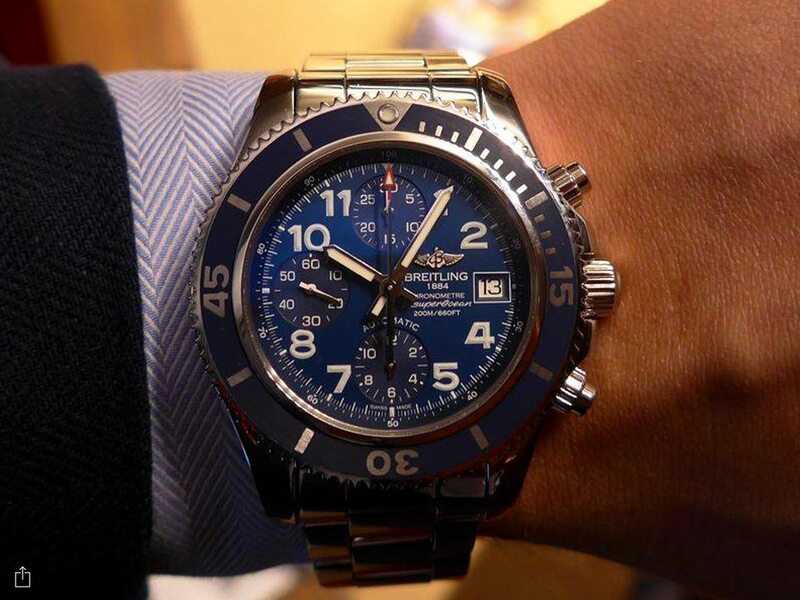 Does the SuperOcean Chronograph have a rubber bezel? It doesn't look like it, and if that's the case I'm very interested! I completely agree, I'd really like to see that one in person. 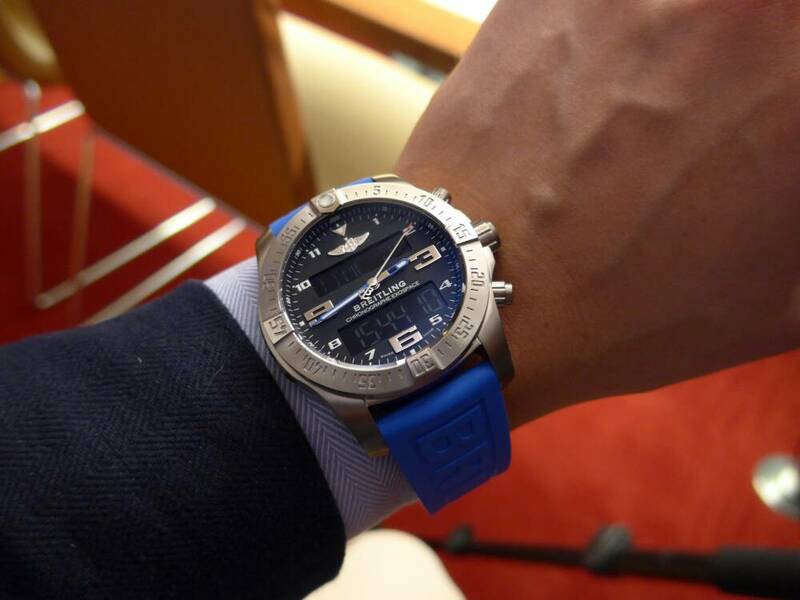 I thought I initially liked the new SuperOcean, but the more I look at it, the more I don't like it. The bezel strikes me as slightly too thick, but the thing that bugs me the most is the way the date window, the 6 and 9 baton markers, and even the Wings logo overlap the inner 24 hour numbers. Design-wise, that kind of thing just doesn't work for me. 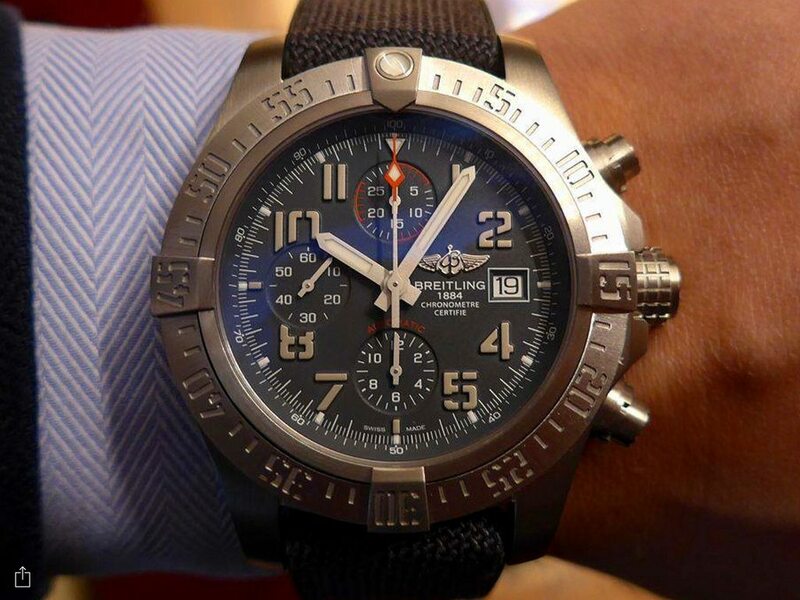 Kind of looks like a ceramic bezel on the SO with my screen, and it lost the 'Chronometre' text on the dial. Not liking this at all, rectangular indices make the dial look very 'blocky'. I much prefer my SO with the lovely arabic numerals personally. 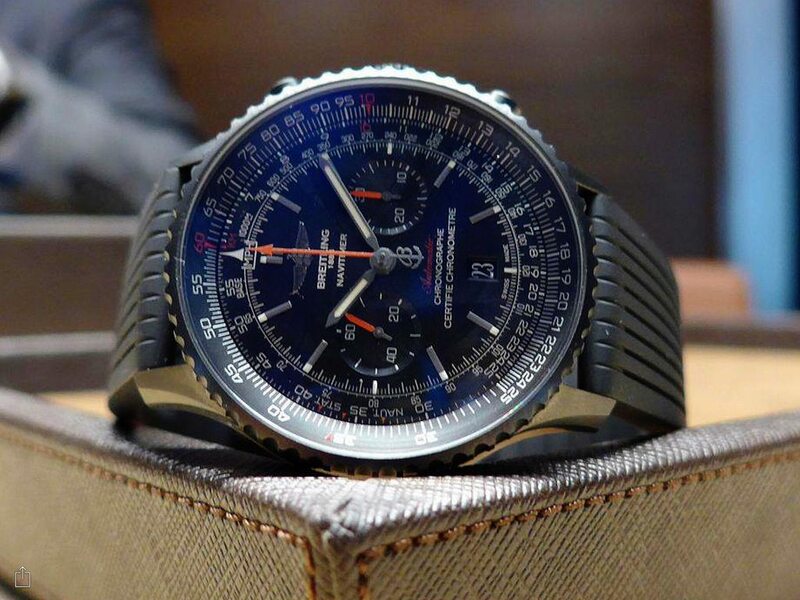 Well, if it's a ceramic bezel it will surely cost upwards of 20K...a la the Chronoworks, LOL. I'm starting to wonder who is in charge of design. They need a wake-up call, methinks. The bezel is ceramic indeed. 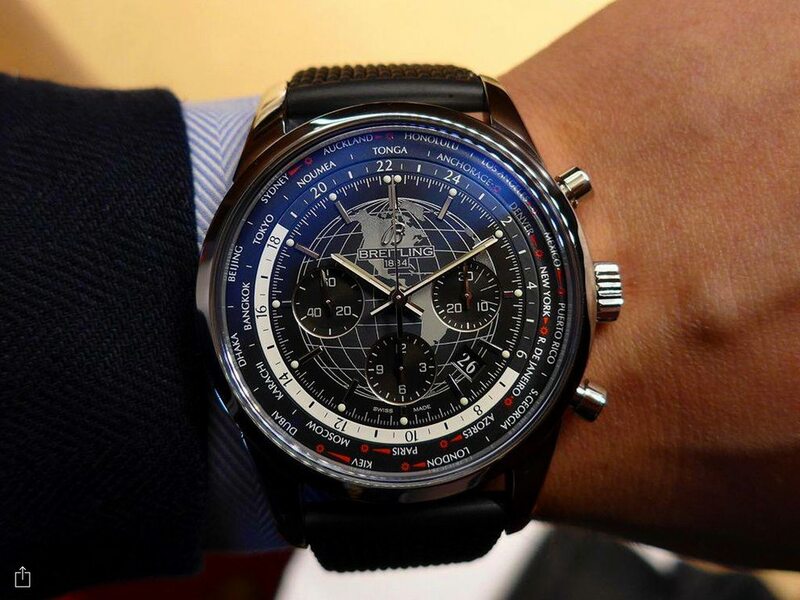 I'd love the CSO 42 mm with day-date. Back in 2003 they could do it. 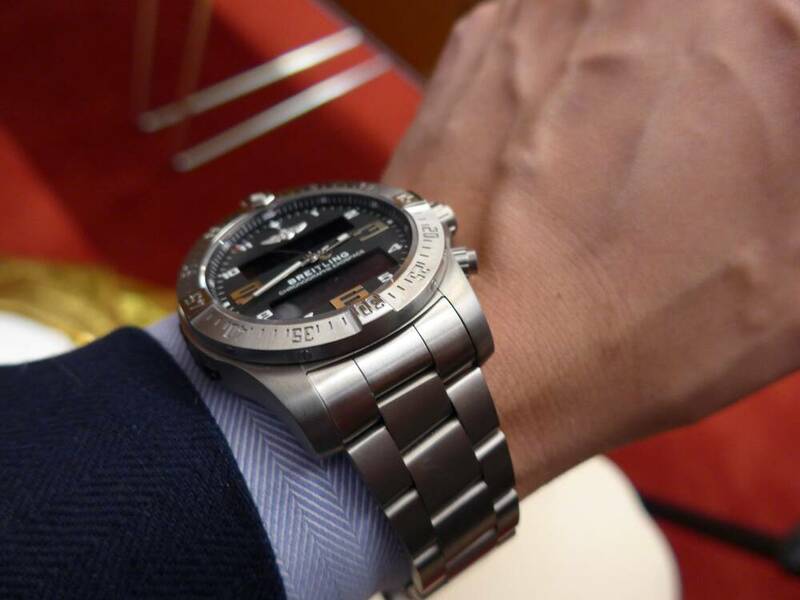 A steel or ceramic bezel would also upgrade the watch a lot.